As part of the efforts of the incumbent governor of Abia State, Dr. Okezie Ikpeazu to constitute a new set of people that would form part of his yet-to-be inaugurated government, Ikpeazu on Saturday announced the dissolution of all political appointees. According to a release by the permanent secretary of government house, Elder Bernard Ogbonna, those serving in the office of the Deputy Governor and Wife of the Governor are also affected by the order. Ikpeazu also directed Commissioners, Secretary to State Government, his Secretary, the Deputy Chief of Staff (both Governor and Deputy Governor) and the Chief Press Secretary (CPS) to continue to perform their official duties till further notice. 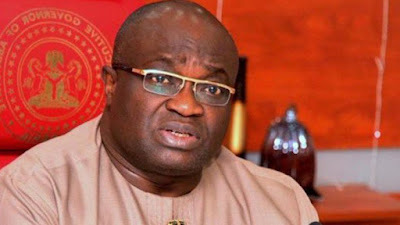 Ikpeazu while thanking all the political appointees for their contributions to the success of his administration in the past four years assured that their contributions to the making of a more progressive Abia would never be forgotten.